Our goal is to connect people with the best local experts. 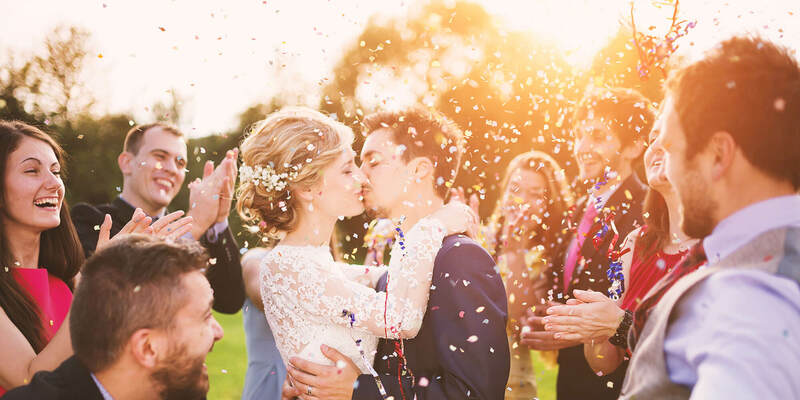 We scored wedding photographers on more than 25 variables across five categories, and analysed the results to give you a hand-picked list of the best wedding photographers in Vista, CA. Photographer Tony Ruiz founded Black Rider Studios in Oceanside in 2006. Black Rider specializes in wedding photography and videography and has a number of professional photographers on staff, including Tony and his wife, Maria Ruiz. The studio covers weddings and other events and also offers engagement sessions, fashion photography, and portraits. Black Rider serves all of Southern California, and its photographers are available for travel worldwide. The company has several different wedding packages with a variety of options that will accommodate most budgets. Black Rider is highly rated on Wedding Wire and Facebook, and its clients rave about how easy and fun it is to work with Tony and his team. Chelsea Jimenez Photography is a San Diego, California-based photographer who works to offer creative and affordable wedding photography services to couples throughout the San Diego County. Her passion for photography allows her to express how she sees people and things around her from a different perspective. Using a modern camera equipped with the latest accessories, she can capture her clients’ authentic personalities and candid moments. With this, when her clients look at the photos, they can reconnect to that moment and recognize the feelings being portrayed. She also covers engagements, lifestyle portraits, and family and maternity photography. Through her dedication to providing quality and well-crafted photos for her clients, she has received numerous five-star reviews on Yelp and The Knot. Devin Blackburn is a young, self-taught photographer in Vista, California. Through his business, Devin Blackburn Media, he provides photography services to clients in the North San Diego County Area. Devin shot his first wedding when he was 12 years old and has a lifelong interest in photography. Over time, his skills and passion for his craft have grown. He has an artistic eye and is a proficient photo editor. Devin is available for weddings, bridal showers, parties, church events, family portraits, newborn photography, and more. He offers affordable rates, and potential clients may contact him directly for a price quote. Additional information about Devin is available on his website, along with a portfolio of his work. Dulcet Creative is based in southern California, but the team is willing to travel throughout America to work with their customers. Kayla Sampson and Amber Thrane own and operate Dulcet Creative, and they specialize in commercial photography. They are passionate about developing high-quality, original, and organic imagery that represents their clients' visions for their brand. They consider every detail involved in planning the perfect shoot for businesses. They offer high-impact images, creative direction, idea mapping, product photography, innovative set design, and unique styling. Some of their well-known clients include Stela, Sevenly, ProFlowers, Sackcloth and Ashes, and Babiekins. Emry Photography uses a documentary style to capture the genuine emotions that accompany special moments at weddings and engagement parties. Emily and Ryan Burhop have been helping couples throughout the San Diego area make wonderful memories for over ten years. They have experience shooting in many of the area's most popular wedding venues. They also photograph destination weddings all over the world. No matter where the wedding is taking place, they scout the location and perform research to ensure beautiful results. Videography is also available, and they offer various photo and video packages to meet each couple's specific needs. Emry Photography received the 2017 WeddingWire Couples' Choice Award as well as the 2017 Best of Weddings Award from The Knot. Ginger Rabe Photography offers custom photographic services to customers in Carlsbad and the surrounding areas. Custom photography emphasizes choice and experience by showing the client an extensive gallery of fully-edited, color-corrected images that reflect the photographer’s creative abilities from which to choose. Ginger Rabe Photography schedules wedding shoots and enjoys using such settings as beaches and natural light for the sessions. The studio also offers family portraits, children’s pictures, fashion photography, pet photos, ocean and other nature scenes, and more. Pleased clients recommend Ginger as very professional, detail-oriented, efficient, and persistent in getting shots which make subjects look their best. Leslie Anne PhotoFinish captures weddings and other personal moments for couples and families in the San Diego area. Lead photographer Leslie Anne started the business in 2010, and she has helped couples realize their special days with a documentary style she describes as classic and romantic. Customers on social media have praised Leslie Anne's personality as the right quirky, putting the subjects of her photographs at ease with a relaxed and humorous approach. In addition to weddings, Leslie Anne has expanded offerings to high school senior portraits, boudoir, and maternity. She encourages customers to contact her by phone or email for detailed pricing. Contact info is available on the studio's website. Megan Ann Photography offers professional wedding, engagement, maternity, and culinary photography services in San Diego, CA. Following a passion for romance, love, food, and, of course, photography, Megan Ann aims to offer a unique and individualized photographic eye that showcases the beauty and special nature of each subject. Clients have often spoken highly of her ability to work spectacularly well with children while creating a comfortable and laid-back atmosphere during each shoot. Operating primarily out of San Diego, Megan Ann also travels across the country to accommodate the needs of clients in distant states. She offers photography packages that range significantly in price. Pauline Conway Photography, based in the San Diego area, offers wedding and portrait photography. They are also available one to three times a year in the Boston area. Services include on-location as well as destination wedding and engagement photography, family portraits, and maternity shoots. Final products include an online gallery of all edited shots for sharing, downloading, and printing; full sized prints are also available. Wedding and portrait package deals are available to suit customers budgets flexibly. Owner Pauline Conway helps clients capture special moments, and will help clients choose where and when to have shoots, as well as make recommendations for what to wear. Rebecca Lindsay Photography is a professional photography business located in Carlsbad, California that serves clients in the wider local metropolitan area. The company is locally owned and operated and has an extensive knowledge of scenic locations for clients' photo shoots. A specialist in portraiture work, Rebecca Lindsay Photography offers clients such services as wedding photography coverage, family and lifestyle portraits, branding work, landscape photography, and editorial photography. The company has worked with such clients as the San Diego Farm Animal Rescue. Rebecca Lindsay Photography can be contacted for booking or inquiry purposes by phone, via email, or through its official website. Siera Huff Photography serves Carlsbad, Vista, San Marcos, and all of San Diego Country, providing a full menu of photographic services. The company specializes in photography for all occasions, including weddings, engagements, anniversaries, reunions, baptisms, bar mitzvahs, and quinceañeras. The company also has newborn and family portrait services available. Siera Huff Photography is flexible with the environments in which sessions take place. Thus, the company offers indoor shoots on location and outdoor shoots and various area locations. Previous customers praise the company for its high-quality photos and affordable pricing. Siera Huff Photography has only five-star reviews on Yelp. Keith E. Lyons is the owner and photographer of Vivid Lens Photography in Vista, California. Keith serves the San Diego area and specializes in wedding photography, portraits of people and animals, and landscape and architecture photography. He offers a variety of wedding packages and options at competitive rates. Keith's basic wedding day package includes one photographer, up to four hours of ceremony and reception coverage, and fully edited images in an online gallery. Clients may also select from additional options that include a bridal session before the ceremony, formal portraits after the ceremony, a photo book, pictures of the bridal party getting ready, family portraits, and a full release for photographs.